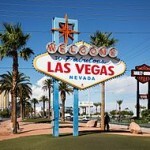 Your Las Vegas tour starts your vacation with a party bus tour of Las Vegas’ best. Feel like a VIP with party bus pick up at your hotel from where we make our way to your first stop, the iconic Las Vegas sign for the perfect photo op. 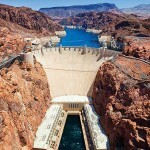 Jump back on board as we then take you to of the engineering wonder The Hoover Dam. Get out and explore the dams spectacular views of its massive structure. As we are making our way back to the Las Vegas strip we will stop at the old downtown Ferment Street. 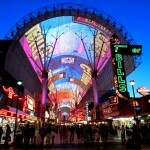 A must see for its crazy appearance which features cheep drinks, neon lights and street performers. The price includes all fees, round trip party bus service, tax and tour. Have up to 26 people in your group for $799. To book a $80 deposit is needed the remaing balance is due at party bus pick up. Pick up is at 12:30pm to 5:30pm. The tour is five hours long. Contact us today! 1-888-903-9889 Our friendly staff members are ready to answer any questions you may have about our services and to find the bus that bests suits your needs and budget. We look forward to speaking with you!